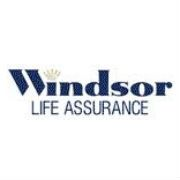 Windsor Life, a well-known pensions company has changed its name to ReAssure and is part of a grouping of several businesses including Guardian Financial Services, HSBC, Barclays Life, Alico and National Mutual (Tomorrow). Therefore, the company owns many policies that its customers originally took out with different servers. ReAssure was originally founded in 1963 and is a life and pensions company that buys and administers closed books of businesses from other companies. They have over 1.7 million policies on their books and they look after investments which are overall over £26 billion for their customers. If you need to contact the customer services team you can call 0844 248 3345. You can call the customer services team for ReAssure if you would like to be informed about the different types of insurance and pension schemes available, you can get in touch by calling 0844 248 3345 and speaking to a member of the team. If you’re struggling using or logging in to your account you can regain access or offer some guidance navigating around the website and your account, just call the customer services team and they will ask you some questions to confirm your identity then give you access to your account by helping you change your password. You can ask any questions you have about the name change of ReAssure or about how the change has affected your policy or the company itself by calling the head office which can be found in Telford just dial 0844 248 3346. If you are unhappy with how a claim or complaint has been dealt with you can also get in touch with the head office team and they will either take the claim/complaint further or they will inform you about the reasoning behind the action that was taken. You can complain about anything you are unhappy with regarding ReAssure such as a member of the customer services team who has spoken to you badly or not been helpful, you feel a claim was not handled correctly, you do not agree with some of the terms and conditions of your policy or anything else you feel was not up to standard by calling the complaints team on 0844 248 3342. ReAssure offer many different types of pension to their customers, all depending on the kind of coverage and opportunities you would like involved. The types of pensions you can get include individual pensions, group & workplace pensions, retirement accounts, annuities and capped drawdowns. Each of these pension options offers different levels of accessibility, payment schemes and withdrawal opportunities. You can access information on all of these pensions on the ReAssure website where you will be able to weigh up all of the options you have and decide which kind of pension you would like to pay into. In their pensions section on their website, you can also view several other pieces of information on pension schemes and other things you will need to know about when you retire, including retirement options that you can pursue. In this section, ReAssure display three retirement options you can follow with them that include using your pension pot to buy a guaranteed income for life, taking your whole pension pot as a taxable cash lump sum or leaving your money invested and making withdrawals whenever you need to. Having these options means that you can live your retired life with a certain amount of flexibility in relation to how you handle your money. ReAssure also offer advice on building your pension pot, making a claim on a pension and provide important information on pension scams. Visiting their website is very helpful for anyone who is looking for any more information about pensions and can be useful to help you with any questions you might have. However, if there is anything else you would like to know about pensions with ReAssure you can call 0844 248 3341 where someone will be ready to help you however they can. ReAssure offer different kinds of life insurance, they have both whole-of-life insurance policies and term assurance policies. The whole-of-life policies mean that you can be protected against particular event(s) throughout your life and can be used for savings and also provide insurance cover, yet the balance of these two elements will vary from policy to policy. When you look at their whole-of-life policies there are three different ways you can use the whole-of-life policy. Their unit-linked whole-of-life policy lets you have premiums that buy units in one or more investment fund(s) which can go up or down in value in line with the investments that make up the fund, which can affect the value that can be used to help pay for the costs of life cover. You can either have maximum cover unit-linked whole-of-life policies that allow you to get a higher amount of cover for a lower initial premium, or you can get a standard cover policy that starts with a higher premium but will aim to maintain a more level premium throughout the life of your policy. Their with-profits whole-of-life policy invests premiums in a with-profits fund together with the savings of other policyholders, where bonuses are added to the policy depending on how the investments perform. There is no guarantee that there will be a bonus applied each year, but once a bonus has been given then it is definitely guaranteed to be added. These bonds normally have a minimum final value (known as the sum assured) which is then added to any bonuses that are due when a claim on the policy is made. Non-profit whole-of-life policies pay out a guaranteed amount in the event of a successful claim on the insurance. When you visit their website you can also find out all about how to make a claim on the insurance that you have set up with ReAssure. If there are any other queries that you have about your ReAssure insurance policies then you can call 0844 248 3329 and someone will be happy to help you. There is a variety of investment opportunities that you can make with ReAssure, depending on how you would like your money to be used in the situation. You can access information on all of these investment opportunities on their website, and you’ll be able to find out anything you might need to know before you decide whether you will invest your money or not. Their whole-of-life investments are usually designed to provide insurance coverage throughout your life but can also be used as an investment, and can come in different ways including unit-linked whole-of-life policies, with-profits whole-of-life policies and non-profit whole-of-life policies. When you visit the website you can also find information on how you can find fund prices to show you how your policy is performing and also have access to download forms that can make changes to your policy or your personal details for your whole-of-life policy. Their endowment investments allow you to save towards a target such as paying off a mortgage, and you can find plenty of information about the different types of endowment policies like a unit-linked endowment, with-profit endowment and non-profit endowment on the ReAssure website. You can also find information about their bonds that can run for either a set term or indefinitely and can sometimes allow you to draw a regular income. Bonds can also provide life insurance depending on the value of the bond or how old the person who is covered is when they die. There are different types of bonds like unit-linked bonds and with-profits bonds so it is best to visit the ReAssure website to find more information about them both to decide which is best for you. If you need any other information about investments with ReAssure then you should call 0844 248 3328 where all of your queries can be dealt with.